Mr. Swaminathan (urf. Swami), a seasoned HR professional joined KATRA Private Ltd. (KPL) as Head – HR in Delhi in May 2005. This company was a world leader in Engineering & Technology, a $65b group globally with a $100m air conditioning business in India. Prior to joining KPL, Swami had series of interviews with local and global leaders, visited the company website, and looked at its corporate values & ethical standards as stated on the websites. He was convinced he was joining a reputed MNC and was excited about his new journey. As luck would have it, Swami left KPL in merely 7 months of joining. He was completely disgusted with what he considered were lack of ethical practices and mismatch of his personal values with those of KPL. I would be narrating a series of 5 short stories describing some of Swami’s experiences and would look to hear your views on whether the issues in question were – black, white or grey from an ethical view point? KPL in India was struggling to be profitable. On a $100m P&L, the company was making a mere $1 m in profits. 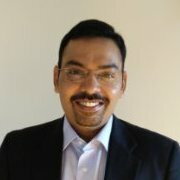 Kulkarni joined as the new CEO (an Indian ex-pat from the parent company in US). He & Swami worked together to create an attractive Sales Incentive Plan to boost sales of Air conditioners in India. They came up with a strategy for both dealers & retailers. KPL had a tight C&B budget and no extra’s to pay in comp. raises. The formula arrived at was “profit share based incentive scheme”, in the form of variable pay as a substantial part of total compensation. The variables for incentive payout were – sales volumes, margins, revenue collections on time & recovery against old bad debts. This energized the entire sales force and the company grew 22% in sales for the first time and made healthy profits of $7.5 million (close to 700% increase over previous year). As the company revenues & profits leap frogged quarter over quarter, Kulkarni got a bit nervous about the “profit share based incentive scheme”. He suddenly started feeling that his sales force would get substantially benefited in terms of their sales incentive and started revising the targets upwards and making it more difficult for the sales force to earn the same incentive. This peeved the Sales Director & the sales teams. They felt betrayed and raised the issue with Swami. Swami tried very hard to reason with Kulkarni, but Kulkarni (an ex-pat from US), felt cost of living in India was quite low and people will end up earning far higher incentive than what he believed, they deserve. Swami argued that this was unfair as the incentives were looking attractive today because Kulkarni had not anticipated such fantastic turnaround by the sales team. The sales team had out performed and it would be unfair to revise the incentive scheme downwards. Kulkarni as the CEO of the business refused to heed to Swami’s advise and repeatedly tweaked the sales incentive scheme quarter on quarter to keep the payouts within what he considered was reasonable. Swami as the Head HR was the one required to communicate the changes to the scheme across the company and the people saw him as part & party to the decision. Swami found himself in an ethical dilemma. He was finding it hard to sleep at night. He walked up to Kulkarni one morning and shared his predicament. You are refusing to heed to my advice on not tweaking this incentive scheme each quarter. I am the one doing the internal communication as the HR leader. I am losing my personal & professional credibility with the people. Kulkarni said to him, “Swami, don’t be so emotional in business, be practical. There is nothing unethical about what we are doing. The sales force would have earned nothing if we did not create this incentive scheme. They are at least making some incentive. They should feel happy about it and so should you. What do you as the readers think? Was Swami Naïve and seeing things as black or white? Was Kulkarni more pragmatic, who understood that ethics was about navigating in the grey? How do I lead not being a Leader?